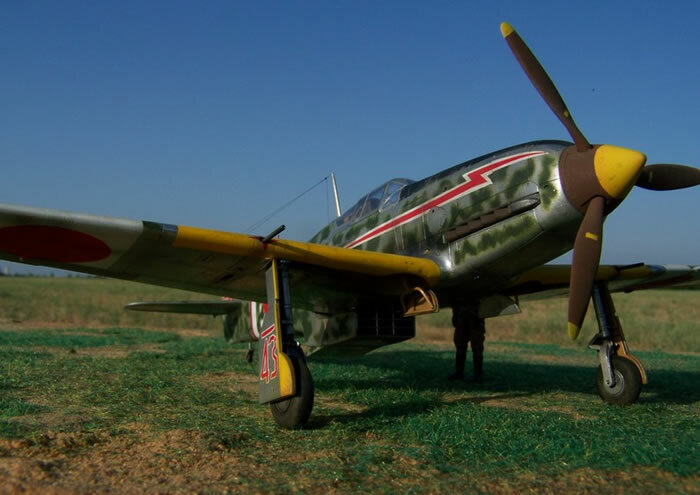 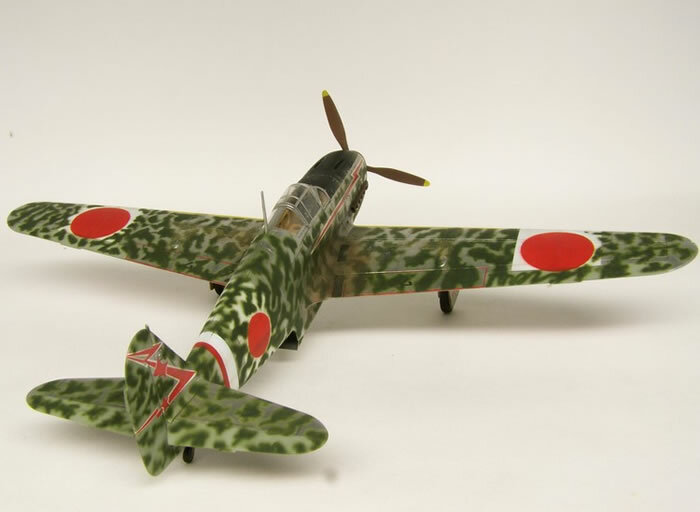 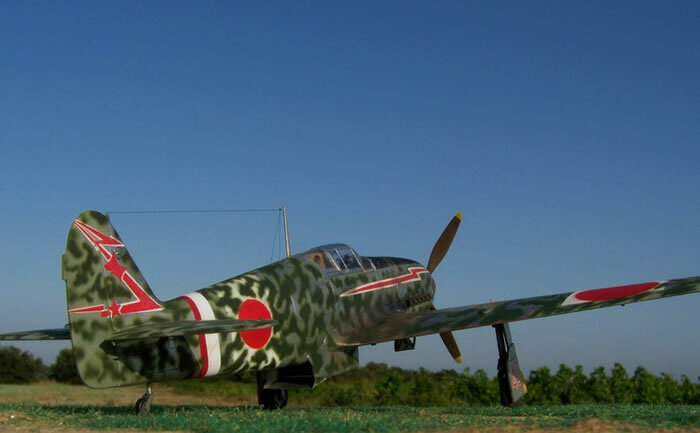 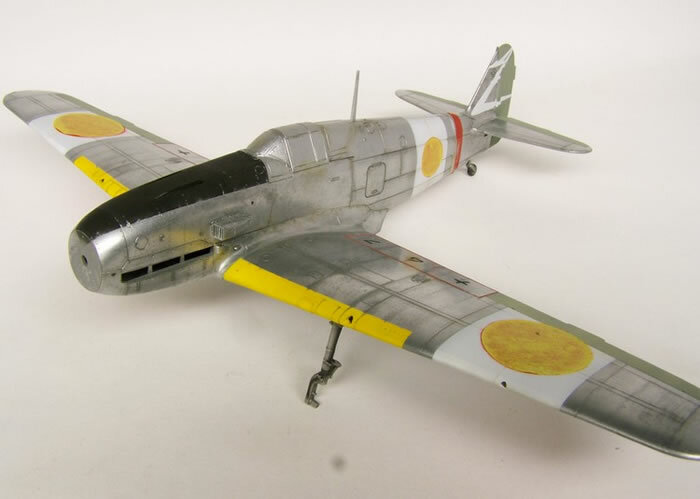 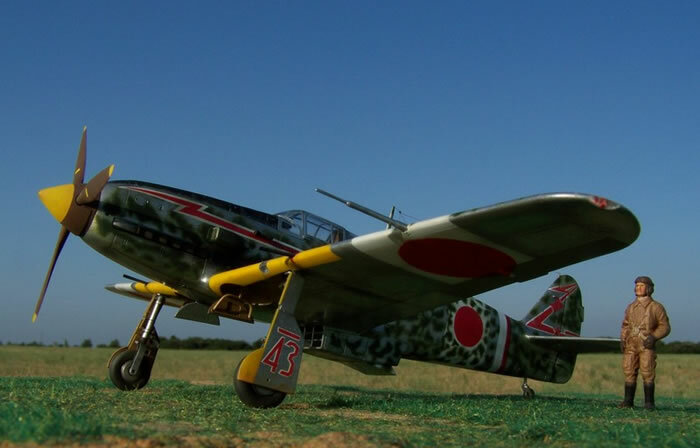 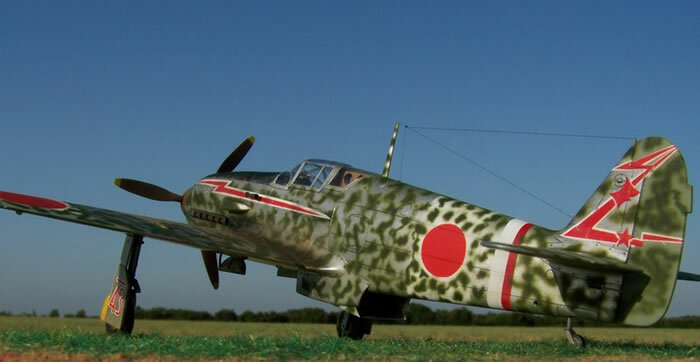 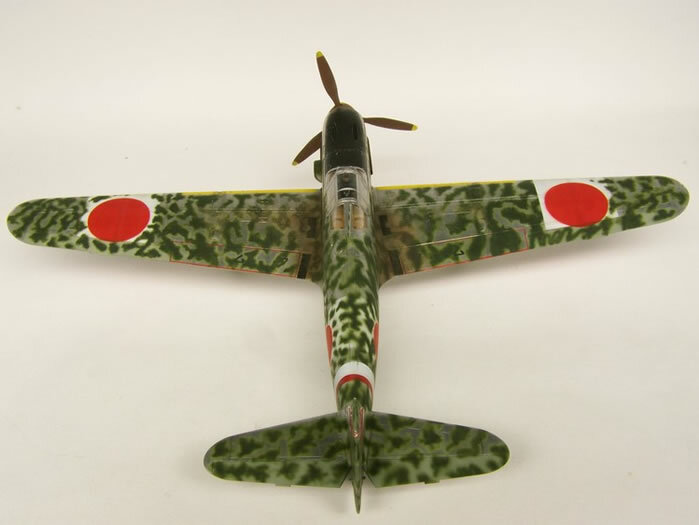 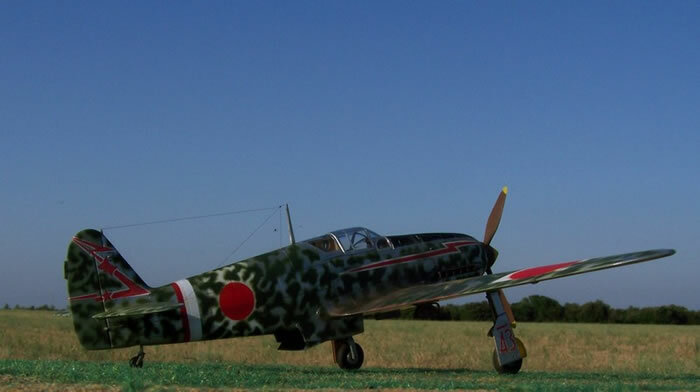 Here are some photos of my Hasegawa 1/48 scale Ki-61. 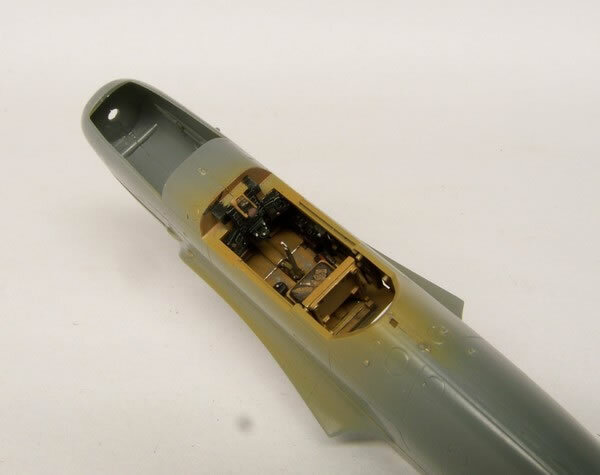 To improve the kit, I upgraded the undercarriage. 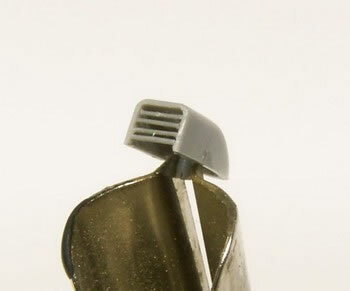 The radiator inlet was detailed with stretched sprue. 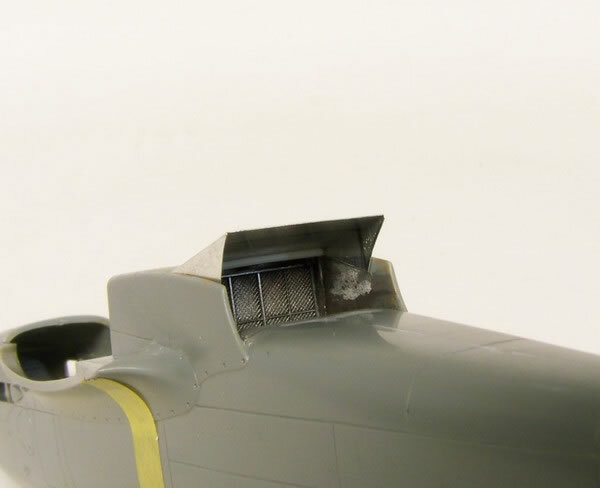 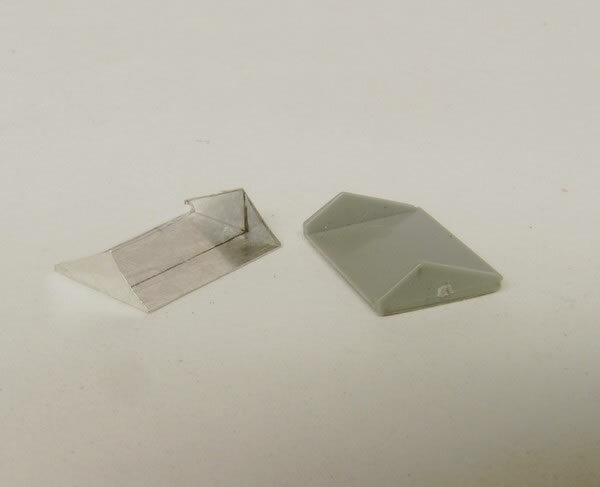 The radiator flap was made from sheet aluminum. 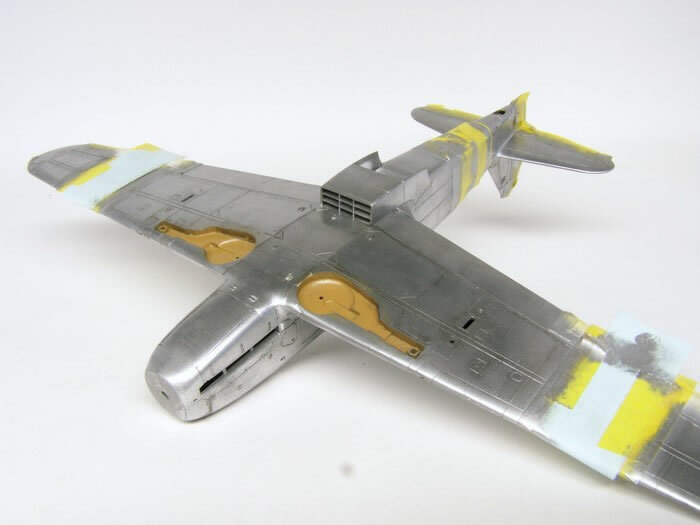 Rub N Buff was used for the bare metal finish. 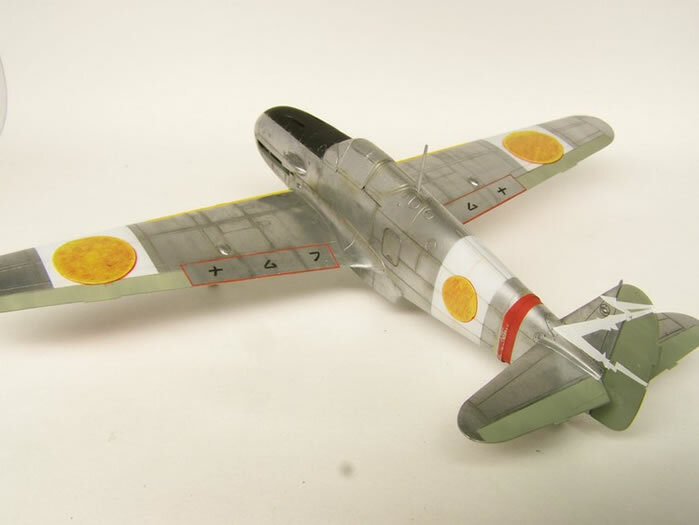 The six white "bandages" were masked and sprayed before mottling with a mixture of green XF 71 and light gray. 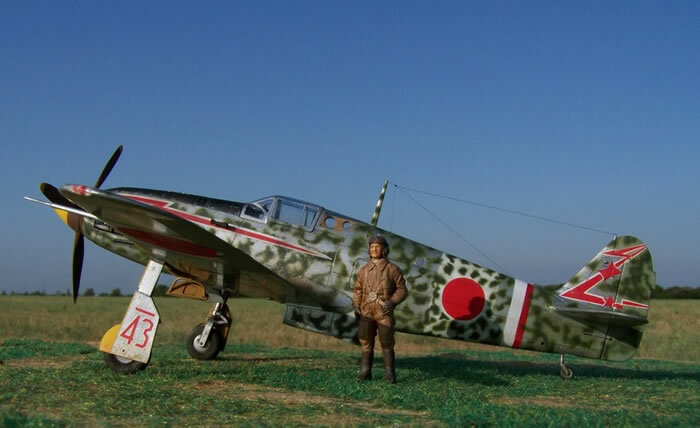 The chosen decoration is the one of N ° 43 of 244 sentai. 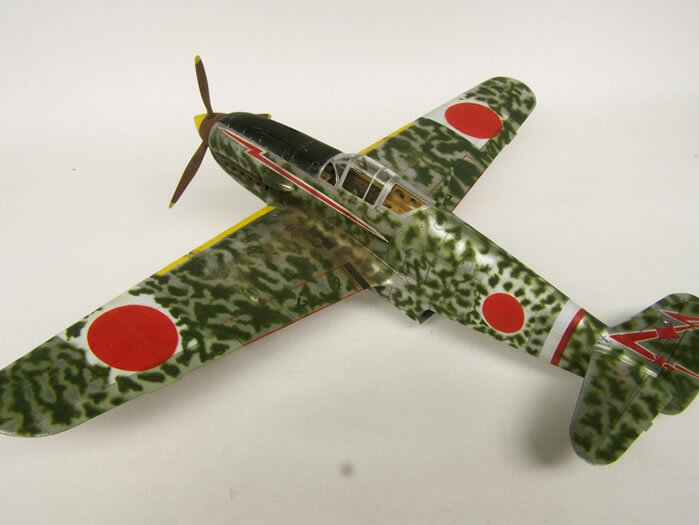 Markings came from Lifelike decals Ref: 48-003 and Montex Mask Réf:K4819.